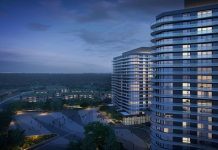 The demand for low-rise housing in the GTA is outpacing supply, with homes being purchased as soon as they are brought to market, the Building Industry and Land Development Association (BILD) announced in July. Supply of low-rise homes, which includes detached, semi-detached and townhomes, hit a new record low in June, bringing inventory levels down to just 5,155 across the GTA. There were 2,381 low-rise homes sold in June – exceeding the amount brought to market that month. The average price of a new low-rise home in the GTA hit a record-high $785,800 in June, according to RealNet Canada Inc., BILD’s official source for new home market intelligence. Pricing in the high-rise sector remained relatively unchanged at $441,134. A statistical backgrounder is available for viewing.